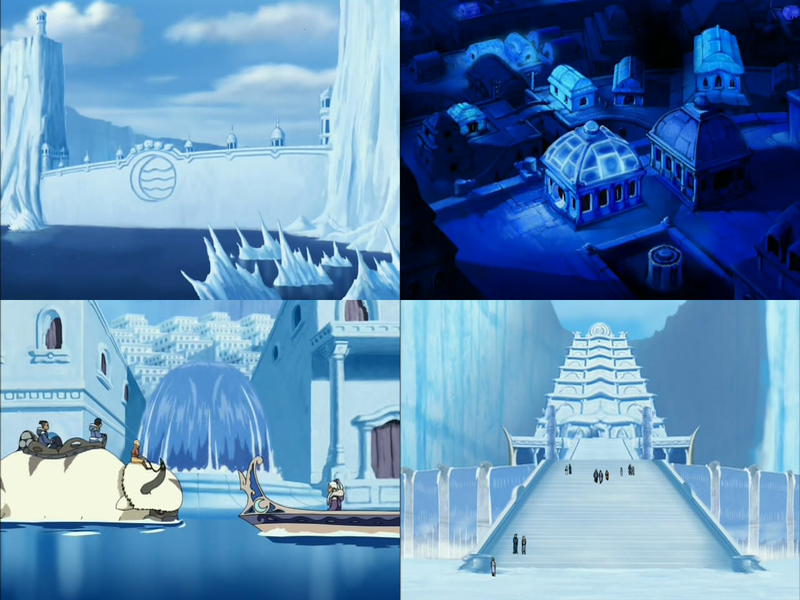 I haven’t quite finished the epic journey of Avatar just yet, but I do want to make a quick note on the fantastic design of Northern Water Tribe, one of many fascinating places that make up the world of hybrids in Avatar (almost everything is hybrid of influences in Avatar). What exactly is this place? Basically in Avatar, people can manipulate (or bend) the elements such as air and water. 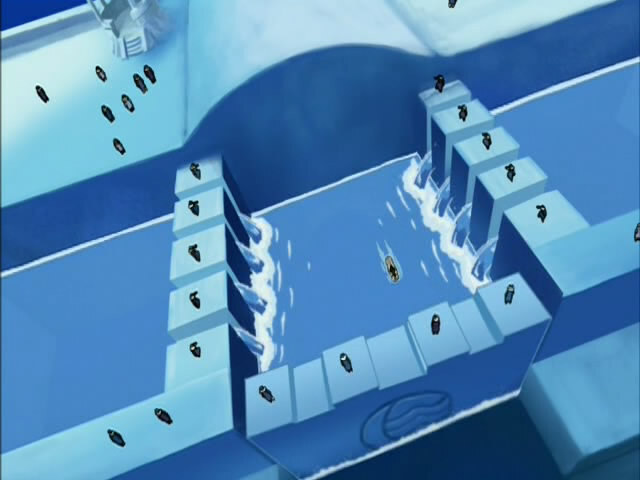 And the Tribe happens to be constructed entirely of water, snow and ice by water benders. I found it particularly fascinating not only because it looks like a charming place to be in, it’s also very unique and clever despite borrowing from a myriad of architectural elements. I trust that I don’t need to mention the obvious Venezian elements we know very well from Aria. 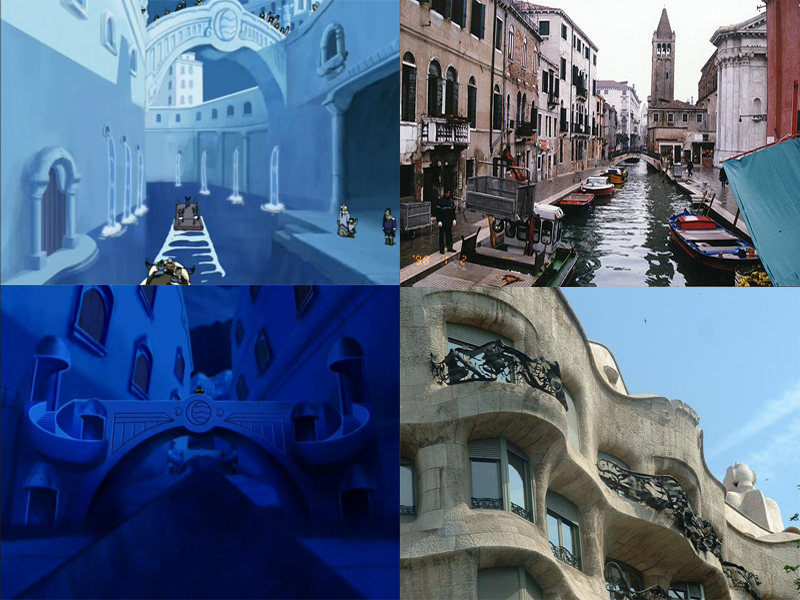 But unlike Neo-Venezia that is almost a direct copy of Venezia, Northern Water Tribe is infused with a number of more flavours to become something new. Although the facades are plane, the exterior looks softer and more “earthy”, closer to snow than ice blocks, resembling more of adboe structures of earth/clay than lifeless blocks of masonry. Its frames, shades, stairs and bridges are simple, yet oozes that Art Nouveau style (i.e. organic curves) and looks like something Gaudi would have come up with. Although Gaudi’s Casa Mila above feels infinitely more organic due to its complex structural expression, those curvy elements of the Tribe nevertheless adds an unique level of grace and elegance to what could’ve been another Venezia clone. Natural elements can be found everywhere, as buildings are often contained within monstrous “ice mountains”, while fountains, waterfalls and canals intrude people’s everyday life. Various temples and shrines of different styles serve as public domain and provide spiritual touch to what is now (to me) a monumental envelopment of a natural element that water benders are associated with. I guess another point I wanted to raise is that originality today can still bloom from hybrids and mixtures of already existing ideas and styles, which explains my past bewilderment towards a certain opinion that supernatural/spirits/exorcising/etc aspects made Mushishi unoriginal. I am not interested in what something is, I am interested in how they are organised in relation to others. Innovation is not defined by whether a certain element hasn’t been used before or not, but by unique assemblage of already existing elements to form new affective connections (i.e. the viewer knows he’s seen parts of it elsewhere before, but the overall product is and feels completely new). One danger to this of course is the temptation to combine any different elements without giving much thoughts as to why (your intent) and how (your method) they are organised that way, which I suppose separates intelligent designs from ill-conceived ones. extensively inside the United states and U.K. previous this four weeks. Skype for Online also now can handle Chromebook and Linux for instant text messaging interaction (no video and voice yet, all those require a plug-in installation).